Do you love our MUSIC? It's by our friend Montaigne, who sang a special acoustic version of "Because I love You" just for us. It's from her album Glorious Heights. Australia's GREAT BARRIER REEF is the largest living thing on earth. Visible from outer space, it's the size of 70 million football fields and is home to 400 different types of coral and more than 1500 species of tropical fish. It's a magical underwater garden. No wonder fashion is obsessed with its beauty. But climate change is killing the reef, and fashion, being a major manufacturing industry, has its part to play. About 5% of global greenhouse gas emissions come from the fashion sector. 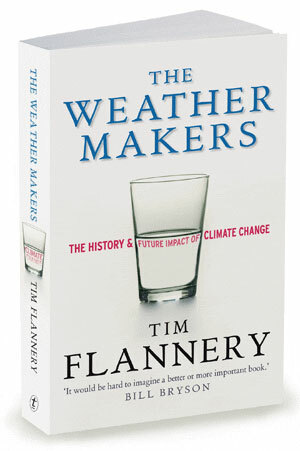 Tim is the author of a whole library of books, including 1998’s The Future Eaters and 2005’s The Weather Makers. I’ve just finished his follow up, Atmosphere of Hope, Searching For Solutions to the Climate Crisis. This Episode was recorded in September, at the Heron Island Research Centre on the GREAT BARRIER REEF where I went on a voyage of discovery, to learn about how the reef is doing and take a science crammer course, with all kinds of people interested in activism in this area. The group included environmentalists Anna Rose and Amanda McKenzie (scroll down to watch them in action), business people, a new generation of government change-makers in the form of city of Sydney councillors Jess Scully and Jess Miller, the poet Johanna Featherstone, artist Joshua Yeldham and his fab photographer wife Jo Yeldham, Heidi from the band Cloud Control, the free diver Julia Wheeler, and also Laura Wells, who stars in the first Episode of the Wardrobe Crisis Podcast. If you haven’t heard that one yet, it’s well worth a listen. 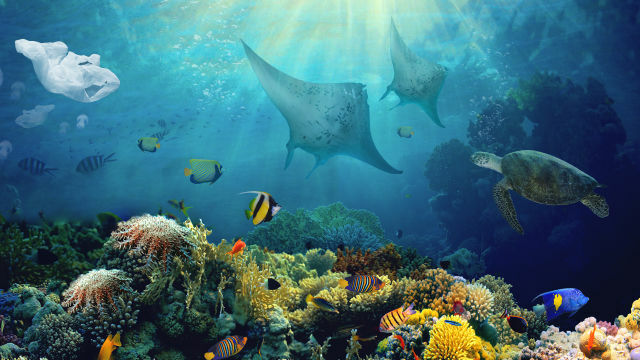 The Great Barrier Reef is the world’s largest reef system. 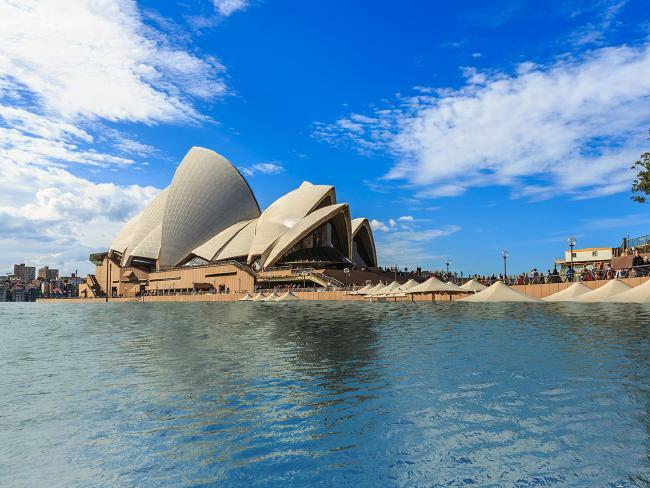 It has over 900 islands stretching for over 2,600 kilometres. It can be seen from outer space. It's bigger than the United Kingdom, and it's in jeopardy. Around 10 % of the world’s total fish species can be found within it. 30 species of whales, dolphins, and porpoises have been recorded in the Great Barrier Reef. Don't forget the turtles. Six species of sea turtles come to the reef to breed. Underwater heatwaves are an actual thing. The Great Barrier Reef has experienced two catastrophic bleaching events recently. Bleaching occurs when water is too warm for an extended period causing corals to expel the algae (zooxanthellae) living in their tissues, turning the coral white. Bleaching events have happened before, but the events of 2016 and 2017 were extremely severe. HERON ISLAND is a coral cay located near the Tropic of Capricorn in the southern Great Barrier Reef, 80 km north-east of Gladstone, Queensland. David Attenborough calls it on of the "most magical places on earth". From September to March each year, Heron Island becomes the breeding home to hundreds of Green and Loggerhead turtles. These giants of the sea return to the island some 30 years after they hatched here, continuing the circle of life. We stayed at the University of Queensland Research Centre where scientists are monitoring the health of the coral, and trying to figure out how to save it. The Great Barrier Reef Foundation is a charity dedicated exclusively to protecting the Great Barrier Reef through raising funds for scientific research. The Foundation was established in 2000 in response to the United Nations World Heritage Convention encouraging countries with world heritage sites to establish a national foundation whose purpose is to invite donations for their protection. Check in with them here. Does fashion have a part to play in all this? You bet. You can read Whitney Bauk's Fashionista article, which I mention in the intro, here. Tim mentions the wonderful photographs of William Saville-Kent. A British author, naturist and fisheries expert, he moved to Tasmania, then Queensland in the 1880s. 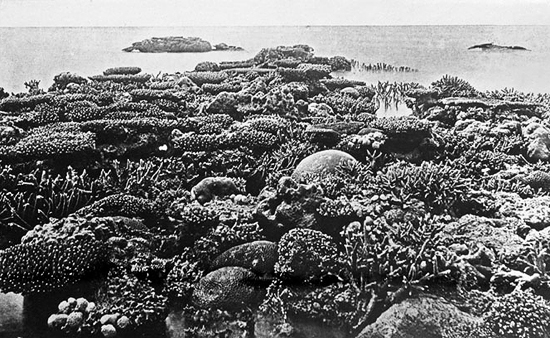 His book, The Great Barrier Reef , was published in 1893. 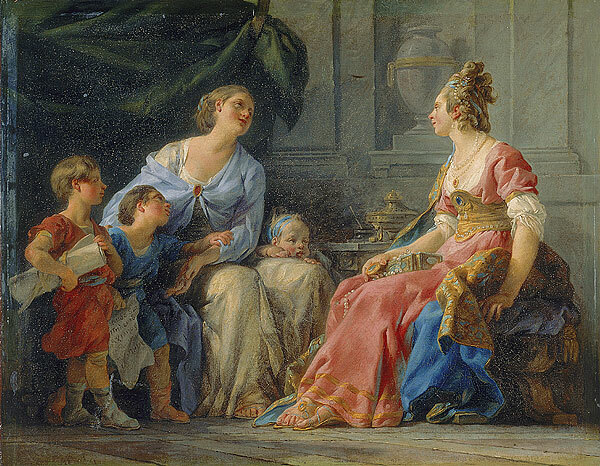 Haec ornamenta mea is the Latin phrase meaning "these are my jewels" - it's attributed to Cornelia, mother of the Gracchi brothers, who in 2nd-century BC Rome was known for shunning decadence. Sir Richard Branson's VIRGIN EARTH CHALLENGE is an is an innovation incentive designed to award scalable and sustainable ways of removing greenhouse gases from the atmosphere. Launched in 2007 by Branson and judges Tim Flannery, James Lovelock, Al Gore and Crispin Tickell, a challenge was laid down to the world to come up with ways of demonstrating ‘greenhouse gas removal’ activities that can take more greenhouse gases out of the air than they emit. Often referred to as Carbon Dioxide Removal, Carbon Sequestration, Carbon Drawdown, or ‘Negative Emissions’, these proposed approaches look to work in conjunction with reducing greenhouse gas emissions in the first place – to help meet emissions reductions targets for a more stable climate and healthier oceans. The prize is worth $25 million. We'll always have Paris...What is the Paris Accord and why does it matter? Read all about it here. Adani is the Indian corporation behind the proposed Carmichael Coal Mine development in Queensland's Galilee Basin. The mine is controversial for lots of reasons, most obviously because it's makes no sense to inves in new fossil fuel mines when we should be moving towards renewables sources if we're going to have a hope in hell of reducing carbon emissions. Why else? Try: because it's vast (6 open-cut pits, five underground mines, with a disturbance area more than 30km long): Also, according to the Guardian, "building the mine would have a much wider indirect effect. Carmichael would be the first mine in the giant untapped Galilee coal basin. The infrastructure that would be built to allow extraction of coal from the Carmichael mine could serve at least 10 more. If all the mines mooted for the basin were built and reached their proposed maximum output at the same time, they would be producing 330m tonnes of coal a year – more than Australia’s entire coal industry does now." Try: because it's smack bang opposite the reef, threatening it with coal dust pollution and the effects of dredging. Dredging is undertaken in coastal waters so that large ships can access ports. Dredging involves cutting away large swathes of seafloor, lifting or sucking it up and dumping it somewhere else – usually into deeper water further out to sea or to “reclamation” areas where sea is turned into land. But also, because it's corrupt and stupid - and benefits only the corporate money men who will skim off the profits, send the coal overseas anyway, and leave us with a trashed environment and nothing to show for it. And yet... the mine was granted preliminary approval by the Newman State Government in 2014, after Adani claimed the proposed $16.5billion mine would create 10,000 jobs and produce 25 million tonnes of coal per year during its first phase. According to environmental organisation Coast and Country, the jobs figure is more like 1500 - but ministers, being heavily lobbied by the Adani group, continue to quote the 10K figure, and have apparently forgotten to factor in the large numbers of tourism jobs that could be affected in the area. This week, a 4Corners investigation exposed a tangled web of off-shore companies, tax dogding and shady financial dealings linked to the project. Stop Adani Campaign organisers say: "We are a growing grassroots movement of local action groups right across the country, all working to stop Adani’s disastrous plans for a dirty new coal mine from going ahead. We are building the biggest environmental movement in Australia’s history. Adani’s dangerous coal mine would fuel catastrophic climate change right at the time we need to urgently cut carbon pollution...Adani can’t be trusted and our future lies with clean, renewable power. Stopping this project is absolutely critical to setting Australia on the path beyond polluting fossil fuels, towards a safe climate for all." On Earth Day in April of this year, Jeremy and Katinka Somers from Aussie swimwear favourite We Are Handsome launched a six-piece capsule collection with YOOX Featuring prints inspired by the beauty of the reef. All profits went to the Great Barrier Reef Foundation. We heart WAH. As the world’s largest and highest tropical island, New Guinea occupies less than 0.5% of world's land surface, yet supports a high percentage of global biodiversity. Approximately 4,642 vertebrate species inhabit the island of New Guinea and its surrounding waters, which constitutes about 8% of the recognised world vertebrates. This ranges from an estimated 4% of the world's lizards and mammals, to about 10% of the world's fish species. Tree kangaroos have long, thick tails which enable them to balance in trees, and large, strong forearms for gripping to trees. In 2015, Climate Central (a US-based "organisation of leading scientists and journalists researching and reporting the facts about our changing climate and its impact on the public") released these images of what some of our iconic cities would look like is the planet warms by 4 degrees. Tim calls himself an anarchist in the true, uncorrupted sense of that word. What does he mean? Writing in The Guardian, David Goodway explains the origins & history of the word: "Anarchists disdain the customary use of 'anarchy' to mean 'chaos' or 'complete disorder'. For them it signifies the absence of a ruler or rulers, a self-managed society, usually resembling the co-operative commonwealth that most socialists have traditionally sought, and more highly organised than the disorganisation and chaos of the present. An anarchist society would be more ordered because the political theory of anarchism advocates organisation from the bottom up with the federation of the self-governed entities – as opposed to order being imposed from the top down upon resisting individuals or groups." Read full article here.